We are all very humbled and extremely grateful to have received 5 prestigious 2017 Travel Weekly Magellan awards. The annual awards are determined by a panel of travel industry experts selected by Travel Weekly, honoring the best in travel. 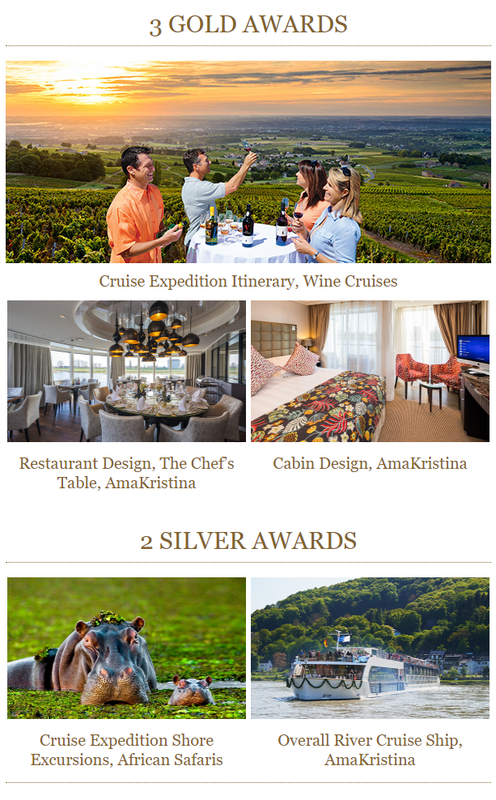 The newest edition to our fleet, AmaKristina, took the top GOLD spot in two Luxury Ship categories celebrating the innovative, signature design features of the Chef’s Table specialty restaurant and the twin-balcony adjoining staterooms. 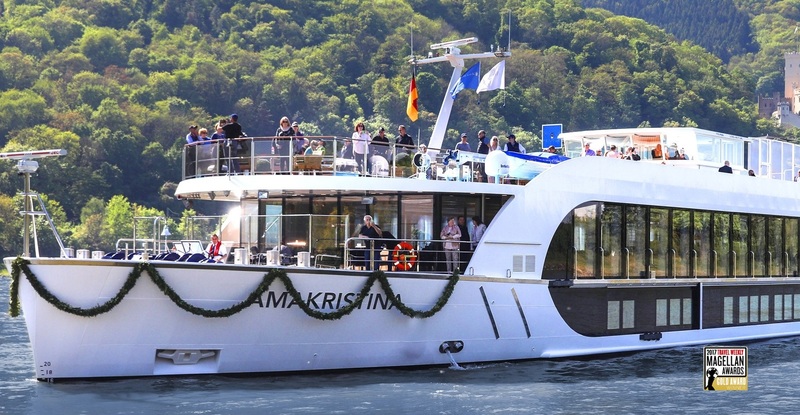 The entire AmaWaterways family would like to extend our heartfelt thanks to you and all of our valued travel partners whose continued dedication and support helps us get this kind of recognition!